Back to Birth – Greene’s seventh album and his Yep Roc Records debut – is more than worthy of some serious attention. The 11-song set showcases the multitalented artist’s uncanny knack for synthesizing his deep affinity for American roots styles into timeless, personally-charged music. Armed with a persuasive voice, a vivid songwriting skill and an instinctive mastery of several instruments, Greene has carved out a unique musical niche, and the album marks another creative landmark in his already compelling body ofwork. Produced by Los Lobos member and frequent Greene collaborator Steve Berlin, Back to Birth underlines Greene’s remarkable evolution as a performer and writer. With such new compositions as “Silver Lining,” “Trust Somebody,” “Now I Can See For Miles,” and the stirring title track, the artist’s distinctive melodic sensibility is matched with thoughtful, introspective lyrics that confront some profound philosophical issues with plainspoken eloquence. Although Back to Birth is Greene’s first new solo release in five years, he’s hardly been idle. In fact, he’s spent much of the past few years engaging in a series of collaborative musical adventures that have teamed him with several notable veterans. In 2013, Greene joined the reunited Black Crowes as lead guitarist on their worldwide tour, and the following year released the self-titled debut album of supergroup Trigger Hippy, which Greene is a member of along with Joan Osborne and Crowes drummer Steve Gorman. Greene continues to be a frequent member of Grateful Dead bassist Phil Lesh’s touring ensemble Phil Lesh & Friends, for which he has contributed lead guitar and vocals since 2007. Greene also toured as part of WRG, an acoustic trio with the Grateful Dead’s Bob Weir and Black Crowes frontman Chris Robinson, and he performed with Levon Helm as part of Helm’s fabled Midnight Ramble shows. The same qualities that attracted such legendary figures to work with Greene are prominent throughout Back to Birth, which Greene and producer Berlin cut at Portland’s Supernatural Sound with a sympathetic crew of mostly jazz-steeped players, with Greene stretching out on a number of instruments, including guitar, piano, organ and drums. 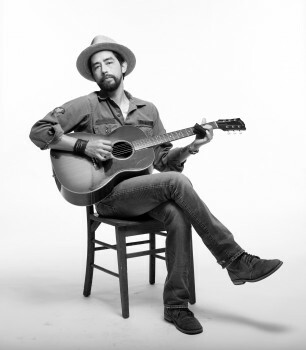 The musical passion and creative integrity that drive Back to Birth have been constants in Jackie Greene’s musical life from the start. While growing up in Northern California, he taught himself to play piano and guitar. His musical reference points shifted radically when, at the age of 14, he ran across a cache of his parents’ vintage rock, country, blues and R&B LPs in the family’s basement. Still in his teens and inspired by his discoveries, Greene began writing songs and performing them at a local coffeehouse while recording his compositions in his makeshift garage studio and burning CDRs to sell at his gigs. He saved the money he made selling those discs to fund his debut album, the self-produced, self-released Rusty Nails. Despite being a D.I.Y. release with minimal promotion, the disc received substantial regional attention from fans and press alike. His popularity led to a deal with a local independent label, which released his second album, Gone Wanderin’, in late 2002. The disc won considerable national attention,leading to a series of national tours opening for the likes of B.B. King, Buddy Guy, SusanTedeschi, Huey Lewis, Mark Knopfler and Taj Mahal. Greene continued to win critical acclaim and expand his fan base with 2004’s Sweet Somewhere Bound and 2006’s American Myth. In 2007, Greene began moonlighting with Phil Lesh and Friends, while continuing his own musical evolution with his own releases Giving Up the Ghost and Till the Light Comes, released in 2008 and 2010, respectively. Although he’s already racked up a multitude of impressive musical achievements, Greene isn’t one to look back. Instead, he continues to look to the future – and looks forward to getting back on the road to bring Back to Birth’s soulful songcraft to the loyal,wildly diverse fan base that he’s built through talent, vision and hard work.